Ben & Bella Story Creator Book is the 3rd app of the Ben & Bella series. Our very own in-house app has become very popular among kids due to its entertaining and exciting features. Through this learning has been made engaging. 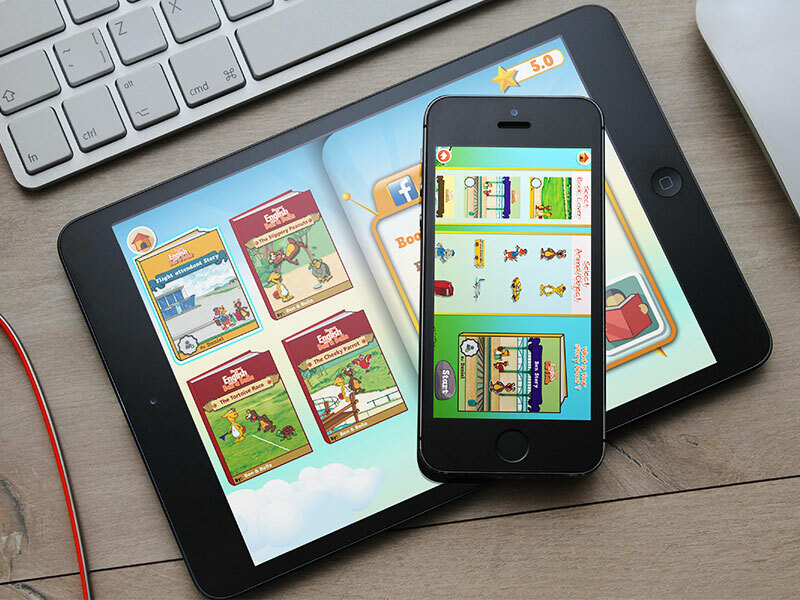 The Ben & Bella Story Creator app has been developed to be played on the iPhone and iPad and is an initiate to motivate children up to 7 years of age into creating and reading stories, thereby promoting and enhancing their interactive e-learning skills. Approved by teachers, parents and toddlers alike, the app focuses on simplicity and ease of use with instructions to guide the users at each step to make learning fun-filled, engaging and interesting, which stimulates the imagination of kids thereby enhancing their English learning skills. The app has special features like an interface that is toddler-friendly, a voice-over function to record stories, animations, high-resolution artwork, a feedback screen that shows a child’s achievement and further motivates them to achieve more and other such features. We again managed to deliver an interesting app which not only engages children but also makes learning fun. It was a great effort put up by Team WITS!